Email is a vital form of communication for your patients. When you communicate with a patient through email, you want them to take action. 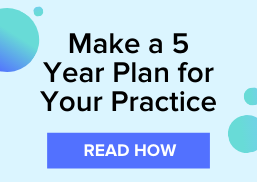 Whether you’re asking them to come back for their yearly eye exam or trying to promote the use of your patient portal, the goal with email is to get the patient to open the email, read the content, and take an action. 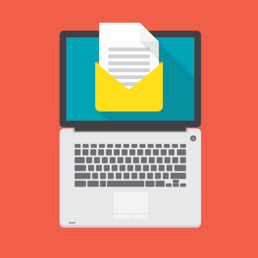 Below are a few optical resources to help you attract patients through email. If you were able to get your patient to open your email, congrats. Now comes the hard part, writing clear copy. The content in your email has to be engaging, concise, and compelling enough to get your patients to read the entire email, or at least skim it to take the action you’re requesting. Don’t bury the lead: Journalists use the inverted-pyramid to provide the most important information at the top of the story. Write a concise message: Keep your message short. Try to only include one message in each email to drive your point and avoid confusion. Use bullet points: Using bullet points helps break up text, creates concise content, and delivers the message to recipients who only skim the email. Use images: Use images that complement the copy. Personalize it: Greet the patient by name and use second person point-of-view to build trust and to make the email more conversational in tone. Stick to one ask: Don’t complicate your email by adding multiple messages and call-to-actions. Identify the most important action you want the recipient to take, and make that the CTA. Use action-oriented words: Schedule Your Next Appointment. Join Our Newsletter. Create Your Patient Profile. All of these phrases start with action words to tell the recipient what they should do next. Make it consistent with the email copy: In other words, if you’re telling the recipient about the importance of a routine eye exam, don’t have a call-to-action asking them to join your newsletter. Instead, invite them to schedule their next exam. Keep it simple: You only need a few words to persuade someone to take action. Make it pop: If you’re using a CTA button, use colors to attract patients and make the CTA stand out from the rest of the email. Keep up with all of the optical resources that VisionWeb offers by subscribing to the VisionWeb blog!